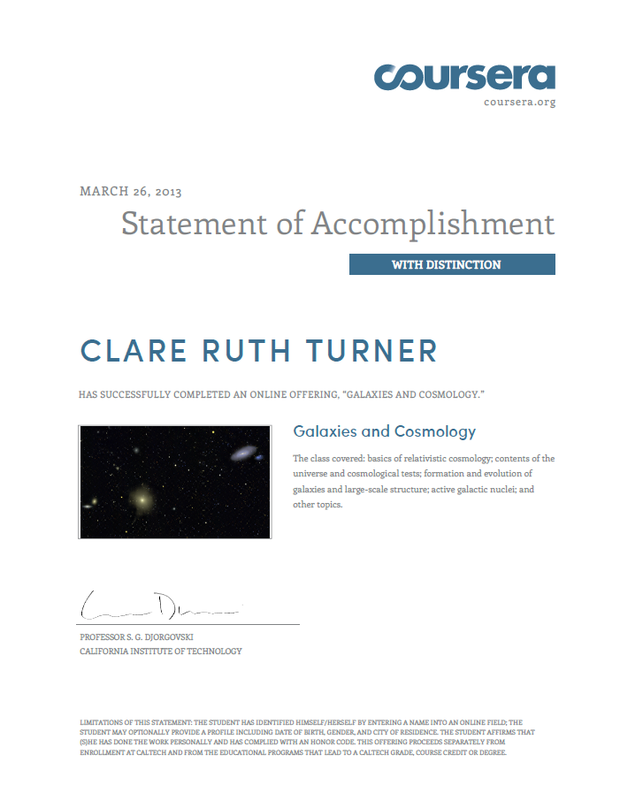 Galaxies & Cosmology course — nailed it! Once I discovered coursera.org I was addicted. I wanted to learn everything! But, of course, I haven't yet learnt how to control time and so I never have enough of it. There was one I was determined to finish and do all the tests, that was the Galaxies and Cosmology course from Caltech. Yes. Caltech! Initiate nerdy victory dance . . .